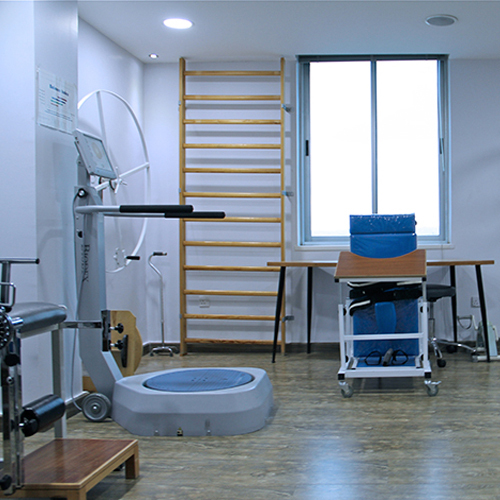 -A specialized rehabilitation doctor qualified to diagnose and set a treatment plan for every patient. -Physical therapy services which aim to help beneficiaries to regain their physical functions and movement as much as possible, using different adapted methods and techniques. It also aims to promote health and provide advice on how to avoid injuries. -Occupational therapy services which aim to help beneficiaries adapt to their disabilities by training them on essential daily activities skills and by promoting their independence using a variety of different adaptations. Our occupational therapy services is also highly qualified in providing hand therapy rehabilitation . Our services are available for inpatients and outpatients as well.